Due to Hydraulic Pumps continuing development, we are now adding to the range of our services & products which we offer! Recently we've added onsite work as well as training. We also repair Hydraulic Cylinders and supply Vickers Cartridge Kits & Valves. Due to demand from our customers we have added on-site work to our range of services. Please contact us to discuss your requirements. 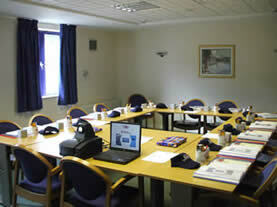 We now offer tailor-made customer training days. We can personalise our training to your equipment and machinery or cover general hydraulic and engineering related topics. We have had positive feedback from our training which you can see below. Please contact us to discuss your requirements or email us directly. Thoroughly enjoyed the course. Your company displayed a professional and friendly attitude which was good to see. The course was correctly tailored to our needs and it was obvious you had put a lot of work into its construction. Well done. A well informed, well delivered course. Good to go over the basics again and build up to more technical levels gradually, in particular for apprentices considering the wide areas of experience attending the course. The course broadened my understanding of internal workings of hydraulic pumps. Enjoyable and informative course. Picked up some useful information to use when we have hydraulic problems offshore. We repair Hydraulic Cylinders and supply Vickers Cartridge Kits & Valves. We offer Genuine Vickers Vane Pump Cartridge Kits for Industrial and Mobile applications (V & VQ). We carry all series / size in stock at competitive prices! Vickers / Rexroth Cetop 3 and 5 Solenoid Operated Directional Valves and Modules all available in 1 - 2 days! We can also cross reference most Rexroth valves to an easily available Vickers. Call for more info.